University School of Dentistry in Milwaukee, Wisconsin where he received his Certificate of Orthodontics and his Master of Science degree. Dr. Wong has been specializing in orthodontics since 1991. "Growing up in Hawaii has had a profound effect on me. We were raised with respect for others in our forefront. This focus is emphasized in our office philosophy and the way our team operates daily. We pride ourselves on our constant attention to detail and the care we provide and have for our patients." Dr. Wong is Certified in Orthodontics and is a member of the American Association of Orthodontics, the American Dental Association, the Indiana Dental Association, the Great Lakes Association of Orthodontics, and the Indiana Association of Orthodontics. 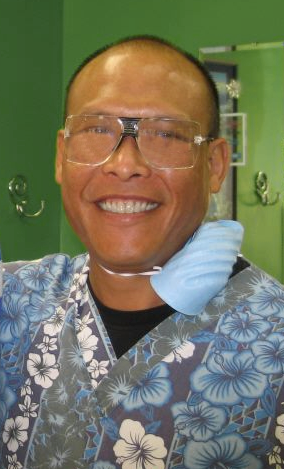 He is licensed to practice orthodontics in Indiana and Hawaii. Dr. Wong also aids in the education of local dental hygiene and dental assisting students. We are pleased that you have chosen our office for your orthodontic care!